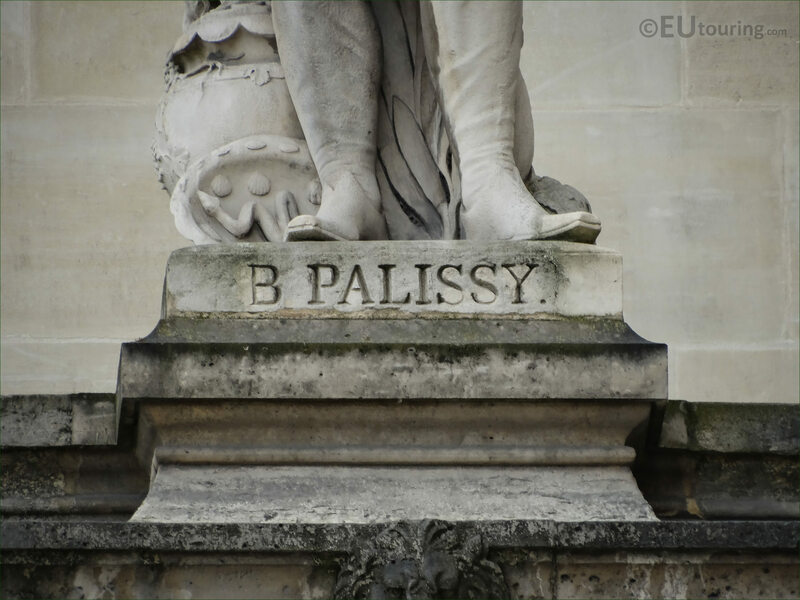 Again while we were visiting the former royal palace turned museum, we took some HD photos of one of the statues on the Louvre facade, which are located on the first level above the arched colonnades, and this particular stone statue is of Bernard Palissy. 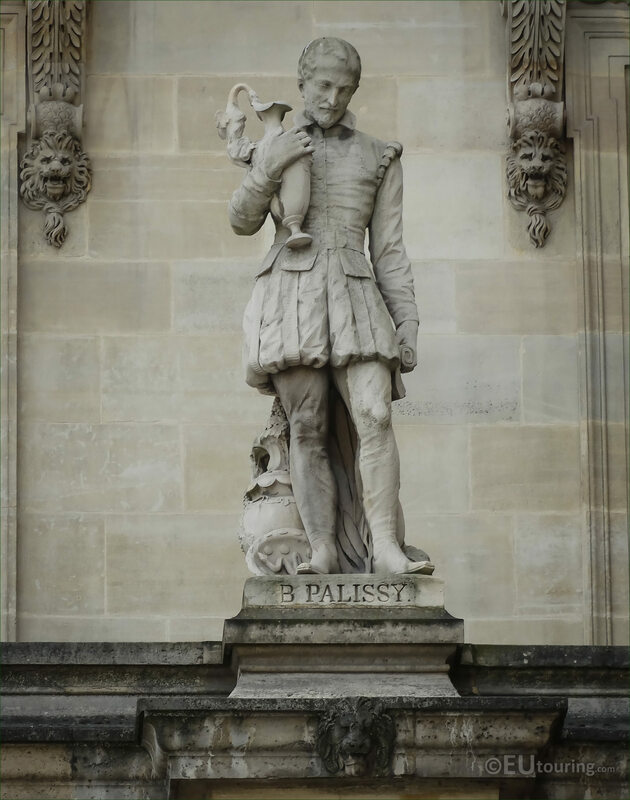 So, in this first photograph you can see the statue of B Palissy, which is located second from the right hand side on a part of the facade called the Aile en retour Mollien, which is positioned on the first level of statues facing towards the Cour Carrousel, close to the entrance to the River Seine. 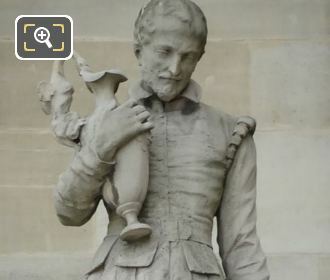 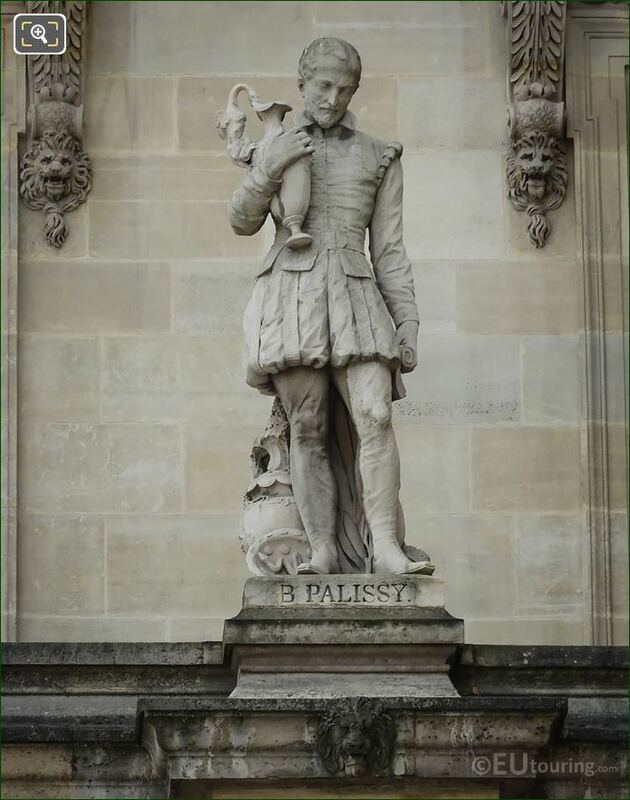 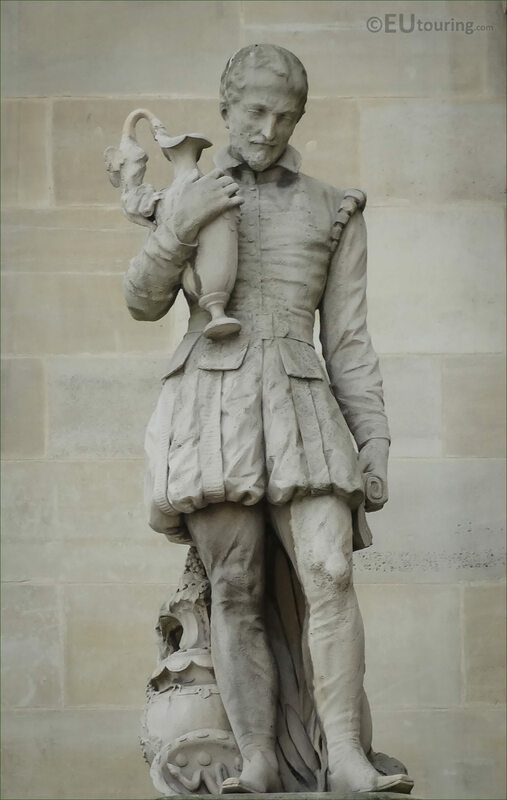 And in this photo you can see a closer view of the statue depicting Bernard Palissy, who was a potter and hence why he is holding a vase, and this statue on the Louvre was produced by the artist Victor Huguenin, who had a full name of Jean Pierre Victor Huguenin, and was commissioned by King Louis Philippe I along with several other sculptures in Paris. And in this last image you can see a close up high definition photo showing the name inscribed on the stone base of the statue dedicated to Bernard Palissy, who was a French potter known for his rustic figurines who worked in Paris at the court for Catherine de Medici, but being a Protestant, he was imprisoned during the Wars of religion and died of poor treatment in Bastille prison in 1590.